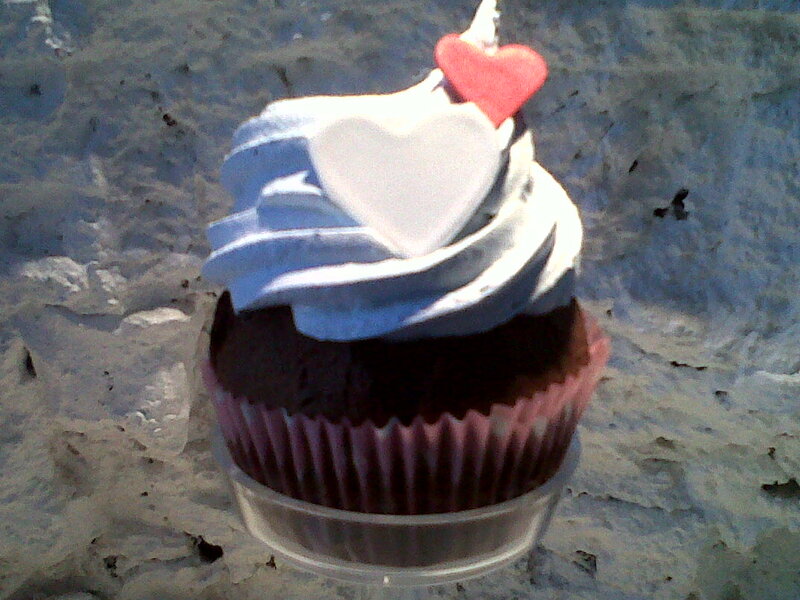 I haven’t been so excited about cupcakes since … the last time I had cupcakes – which was really quite awhile ago! I love Trophy Cupcakes in Seattle, but I hadn’t checked out the BA cupcake scene until one fateful birthday of my coworker Erin. It was her birthday, but I felt like the lucky one getting to celebrate; like when you were a kid, and you went to a birthday party and the host would give you a gift bag with fun little toys in it. That was the best. Cupcakes at work summoned that exact childlike enthusiasm. 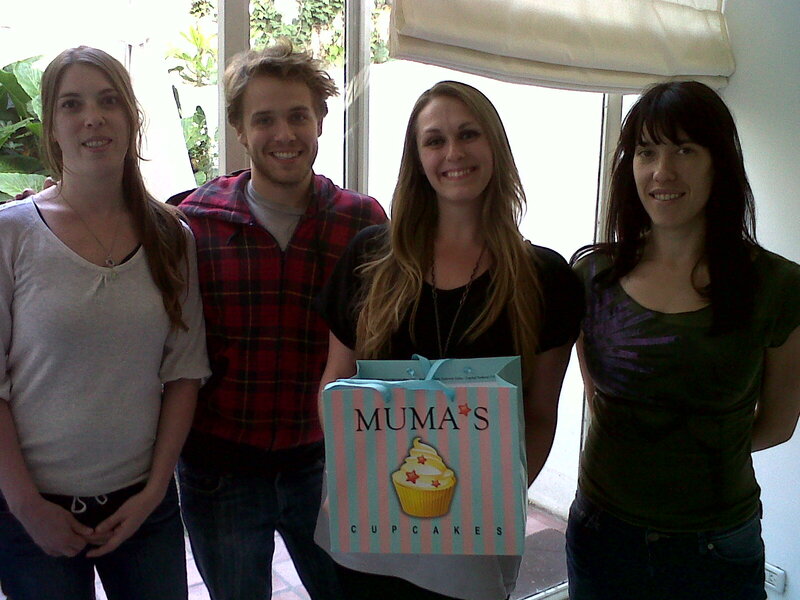 Muma’s Cupcakes is a sweet tooth sanctuary in Palermo Soho. 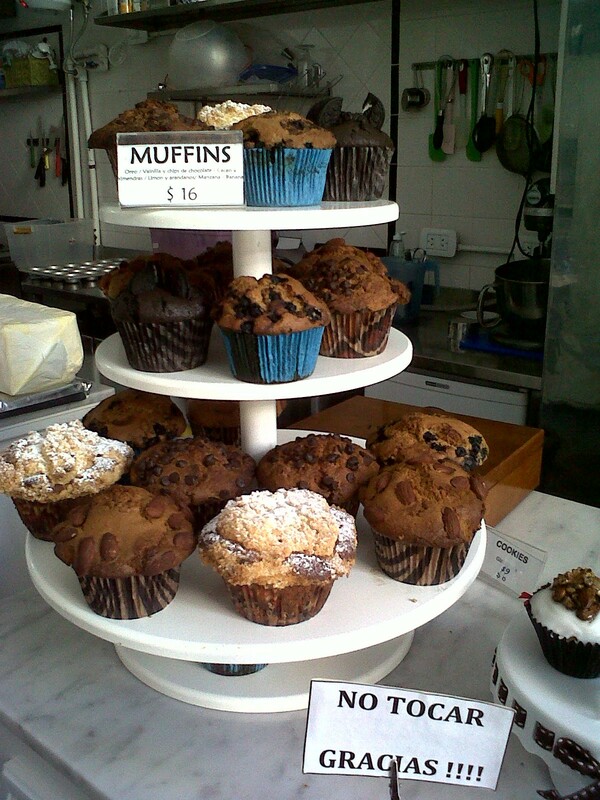 This place is keeping the cupcake craze alive and well in Buenos Aires. And these aren’t your kiddy funfetti from a box cupcakes, although that would have been good enough for me. 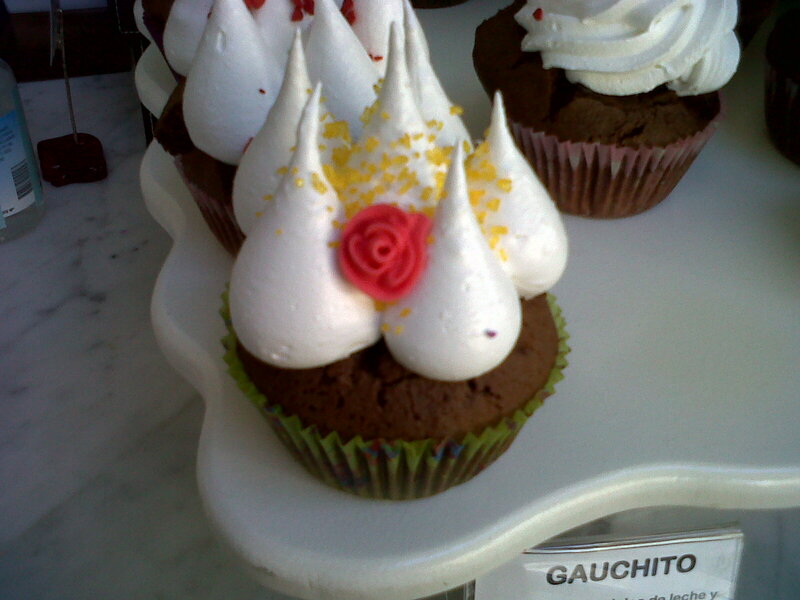 They have great flavors – red velvet, brownie with meringue, banana with dulce de leche, orange cream and lemon pie. 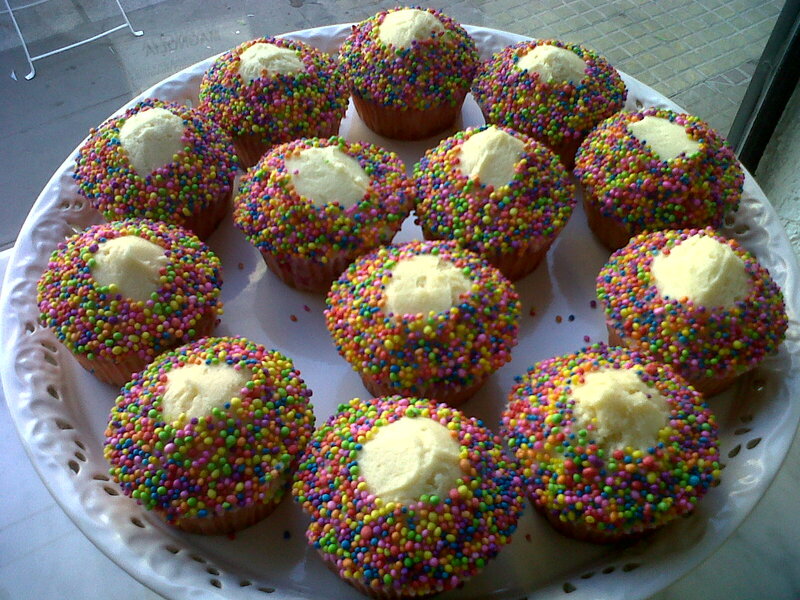 And like any good cupcake should – they arrive dressed in their party best, with pretty colors, sprinkles and frosting. 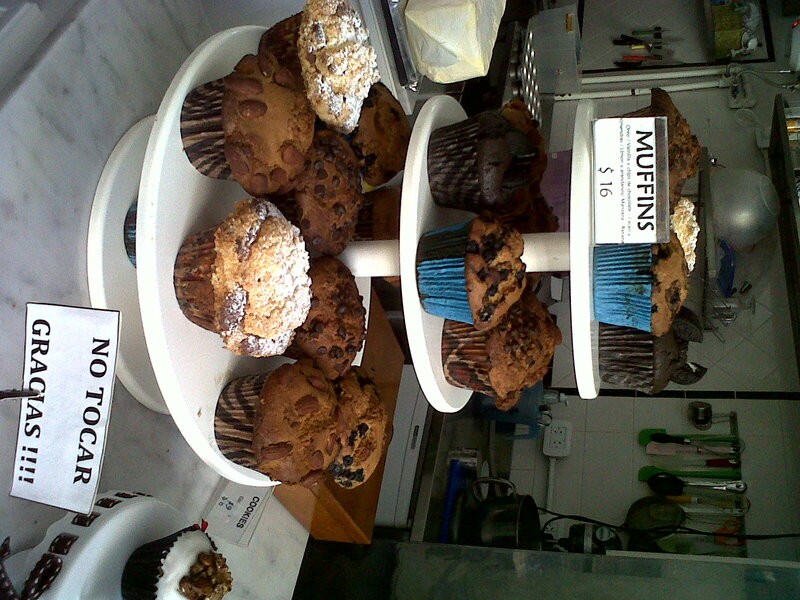 Muma has muffins too! They’re pretty pricey at 16 pesos a piece, but they come with this adorable bag! What a great way to celebrate! Happy Birthday Erin! Enjoy this great picture of my attractive coworkers taken before we pigged out on cupcakes. Yes, I made them take a picture. Yummmm! Looks amazing. But hasn’t BA heard? Cupcakes are out, pies are in! we JUST got a frozen yogurt place. luckily i know how to make pie! Guess where I am going next month as soon as I land in BsAs??? This is going on my list! The things I would do to have sprinkles in my life again!! 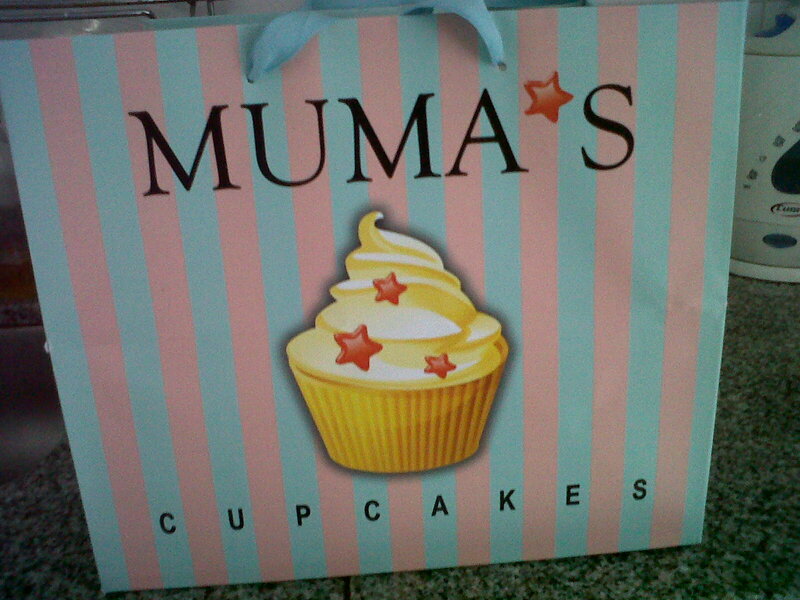 I LOVE Muma’s, we usually go there with my English class’ friends. It has become like a tradition whenever we want to hang out haha. My favourite cupcake is the lemon pie cupcake yuummyyy… delicious!! mmmm have a cupcake for me! A Natural Lunch at b-Blue | .My.Beautiful.Air. Cupcakery Tomfoolery | it's about argen-time!